WE BUILD THE HOUSE OUR CLIENTS WANT THE WAY THEY WANT IT. We will build your home on your lot or ours. I would like to introduce myself to you.  I have been building custom homes in the Poconos and surrounding areas for the last 35+ years. I am the guy who builds “one home at a time”. Attention to detail like no one else with personal interior design. I am a one man company who you can contact personally 24-7. You will have direct access to me and only me. My associates have been with me from 9 to 35 years and are absolute professionals in their respective trades. I have personally hand picked my associates to get the results I desire which is TOTAL PERFECTION. Because of my iron code of ethics and pursuit for perfection I have been able to build magnificent homes in a timely manner far surpassing my competition and client expectations. As a result I have never failed an inspection by either a township engineer or bank official. When final inspection has ended I have never had to return to make repairs or address punch-lists. They are not an option in my work ethic. Along with the information provided I am personally available to meet with you or any of your associates to discuss your interests at your convenience. If you wish to speak directly to any of my past clients I will be happy to provide you with a contact number per your request. Through my association with the finest developers and lenders land and financing packages are available to meet your need. I look forward to building your new home.